to see the newborn king. the angels are present only in the letter to the Hebrews. seems only to want to put them in their place. is far superior to angels. The letter to the Hebrews goes on and on like this. The author seems to delight in putting everyone and everything in its place. who entered the world as a human child. This Son of God does not sound much like a human being to us. through whom he also created the worlds. 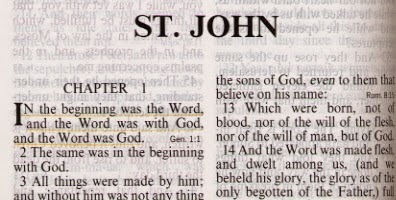 The Gospel of John goes further. he is God’s Word himself. The Son of God participates in the Father’s work of creation. Being pure spirit, they worship God and they serve God. when he comes into the world as a human being. You can have him for a couple of nights. through whom God created the worlds. to raise them up to the things of God. is perhaps a matter of opinion. was muck about in the water having a good time. perhaps we’ve got nothing to brag about. that we are both animal and spiritual. seeking to draw human beings into his orbit. These animals should serve and be in thrall to the spiritual. to converse with him and walk with him. So this is a pretty heady sermon for Christmas morning. Perhaps we are not awake enough for this. after the Virgin gave birth to him. The God who inhabits eternity stepped into time. in order that we might share in his Spirit. Think about it when you’re more awake.